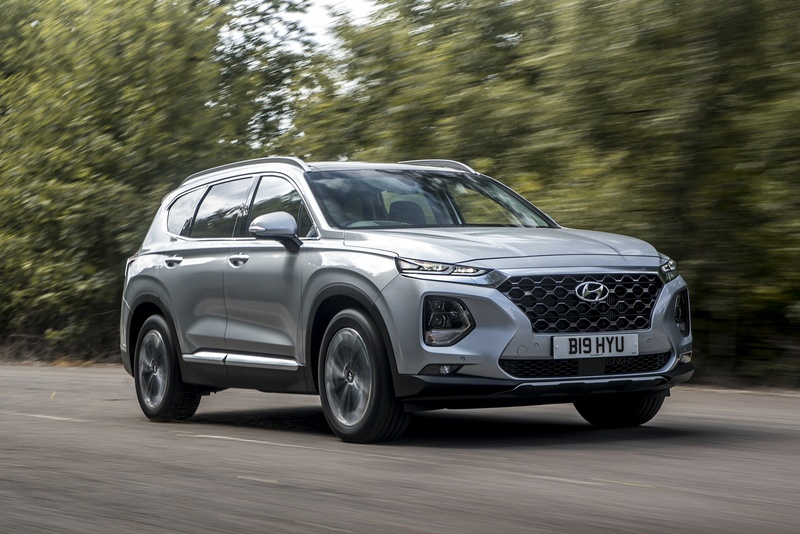 If your family needs a large 7-seat SUV but your budget is closer to the kind of sum needed for a mid-sized 5-seat 'Qashqai'-class model, then Hyundai hopes that its fourth generation Santa Fe will appeal. 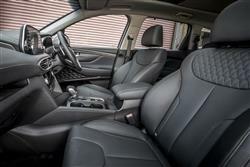 This time round, the cabin is more premium - and more spacious for seven people. Overall, it's a much more sophisticated option than it was before. 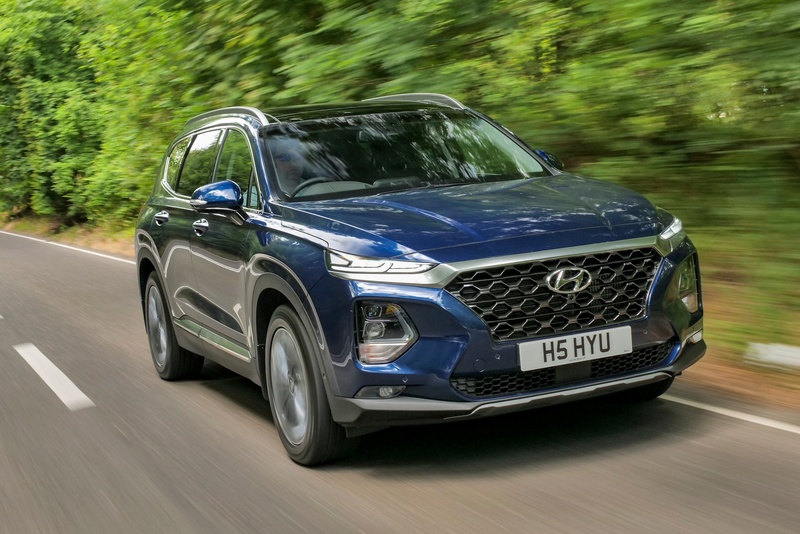 Look at a car like this, Hyundai's MK4 model Santa Fe SUV, and you get some idea of just how far this South Korean brand has come in recent years. This, after all, is the kind of quality product that has driven the improvements in its recent fortunes. The Santa Fe has had a big role to play here. Looking back, it was the launch of the MK2 version of this car in 2006 that really put Hyundai on the map. 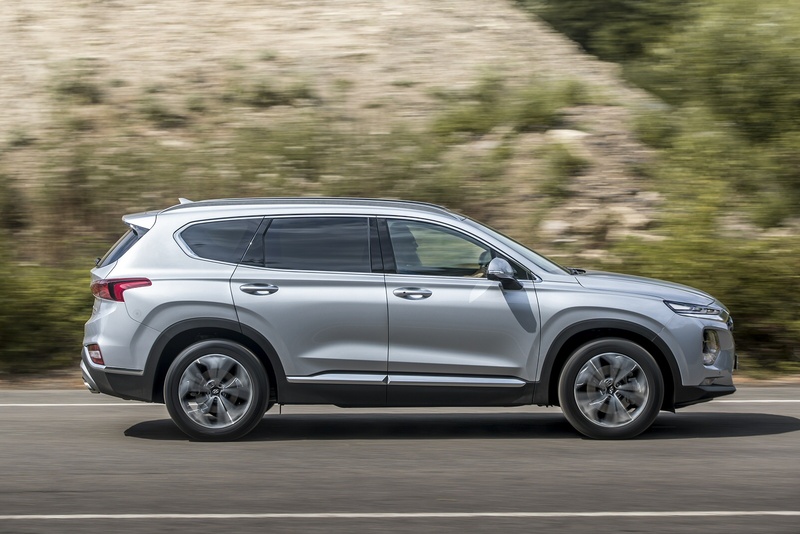 Not only was it beautifully built - it also had beautiful market positioning, this the first relatively affordable SUV to blur the boundaries between the mid-sized class and the large Crossover segment better suited to bigger families. 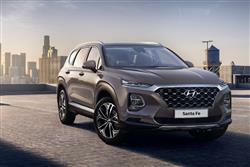 Santa Fe buyers paid compact sector prices but got the kind of 7-seat capacity they'd previously needed a much larger SUV for. No wonder this car became such a strong seller for the UK importers. This time round, its smartened up its act, but the basic proposition remains much the same. 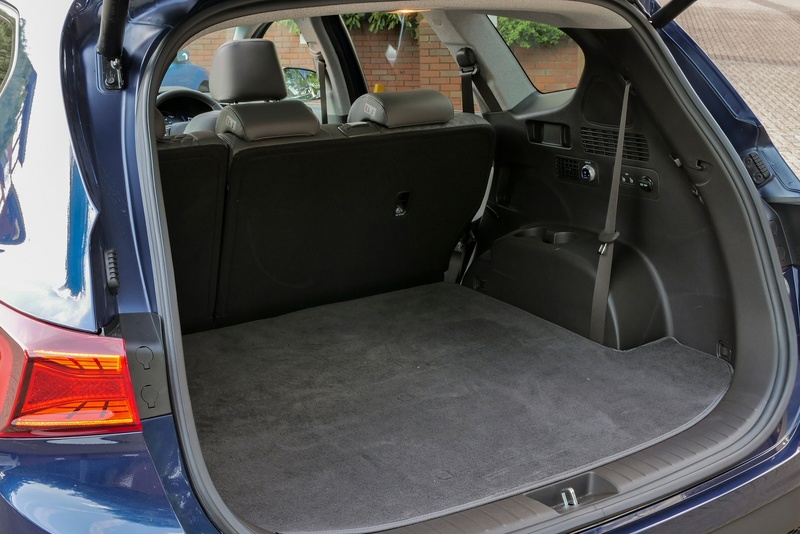 How an SUV drives is usually pretty far down the priority list after how it looks, what it costs and how much room there is inside. We used to take it as read that an SUV would be about as sharp as a serving of refried beans to drive but in recent years, we've seen the pendulum swing back the other way with 'sporty' 4x4s that cornered better but at the expense of decidedly brittle ride quality. There has to be a happy medium between these two extremes and Hyundai claims that this car rather neatly strikes it. To help with that objective, this fourth generation model rides on an all-new platform, but the engine is more familiar - a 2.2-litre 200PS diesel. This is the only powerplant that British buyers are currently offered, but there is the choice of manual or automatic transmission, the auto a new 8-speed package. 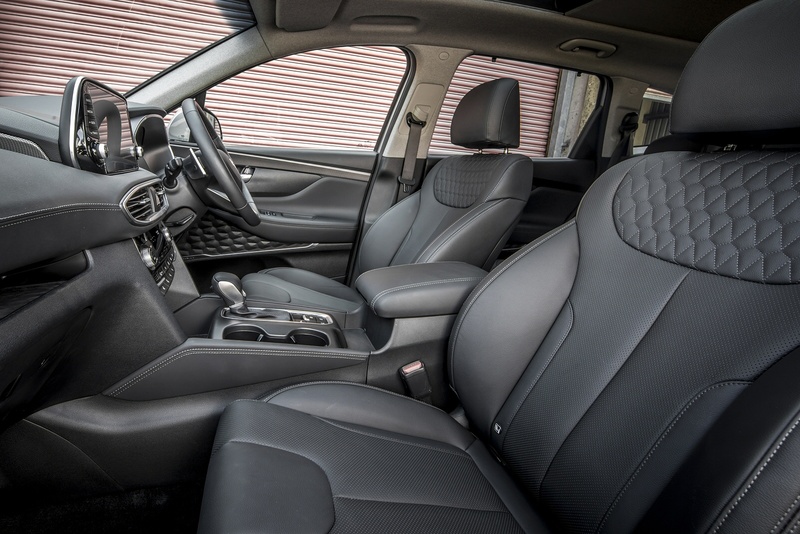 As before, the oily bits are shared with sister brand Kia's Sorento model, which is certainly this car's most direct competitor. 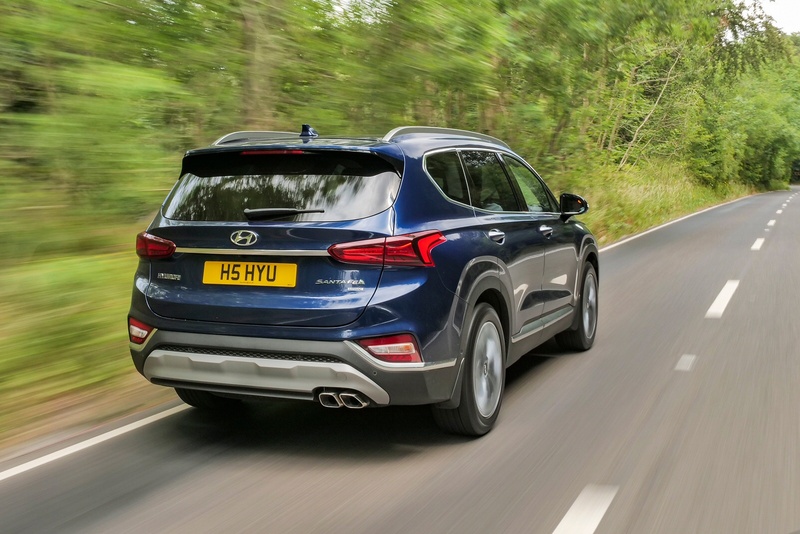 4WD is standard too, the system in question being Hyundai's 'HTRAC' set-up, which apportions torque in varying quantities between the axles depending on the traction available, at the same time as braking individual wheels in search of better grip. The latest Santa Fe isn't quite the sort of car that will have pedestrians bumbling slack-jawed into pavement furniture but it's undoubtedly a good looking thing. It has that inherent rightness to its proportioning that'll make it tricky not to throw a glance over your shoulder when you lock it and walk away. Most importantly, choose an upscale version and it looks - and there's not really a better word for it - expensive. 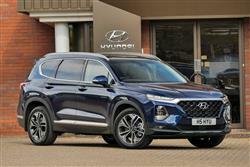 That's exactly the desired result, as Hyundai is trying to push the Santa Fe upmarket. 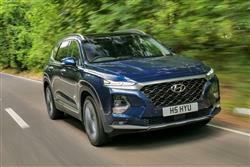 The so-called 'design language' borrows from that initiated by the brand's smaller Kona SUV and includes Hyundai's signature 'Cascading Grille' and composite lamp design. In profile, the biggest change is the way that the rear side windows now dip deeper towards the waistline of the car, a change introduced to give third row occupants a better view out. 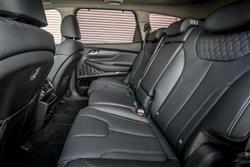 Ah yes, seven seats; that's the only configuration you can now have with this car. As before, there isn't a huge amount of space in the third row (don't think of this as an alternative to a big MPV). Nevertheless, adults will be OK there provided the journey isn't too long and second row occupants can slide the mid bench forward a little. Up front, there's a fresh dashboard design and a completely revised customisable instrument cluster. The infotainment system works via a 'floating'-style screen on the top of the fascia, which not everyone will like. Prices have risen a little, starting at around £33,500 and all versions get 7 seats and the same 2.2-litre 200PS CRDi diesel engine. 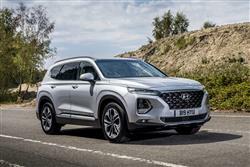 That kind of asking figure might seem quite high when notable rivals like Nissan's X-Trail and Skoda's Kodiaq are priced from well under £30,000, but bear in mind that to get a price starting with a '2' on an X-trail or a Kodiaq, you'll need to compromise with a less powerful engine. Match like for like, then take the Santa Fe's generous equipment levels into account and you should find this Hyundai quite competitive. There are three trim levels - 'SE', 'Premium' and 'Premium SE' - though by the time to get to the top of that tree, you'll be paying well over £40,000. 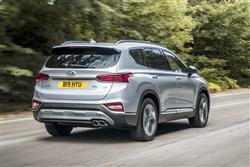 Top models are auto-only, but at the foot of the range, the new 8-speed auto is offered as an option for around £1,700 more. 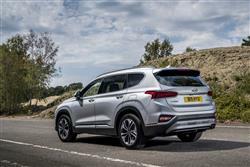 All Santa Fe models feature roof rails, front and rear parking sensors with a rear view camera, privacy glass, dual zone climate control, heated front seats, drivers' seat height adjustment, a leather steering wheel, automatic windscreen wipers, aDAB radio with Apple CarPlay and Android Auto smartphone-mirroring, cruise control, Lane Keep Assist (LKA), Autonomous Emergency Braking (AEB) and Smart High Beam Assist. 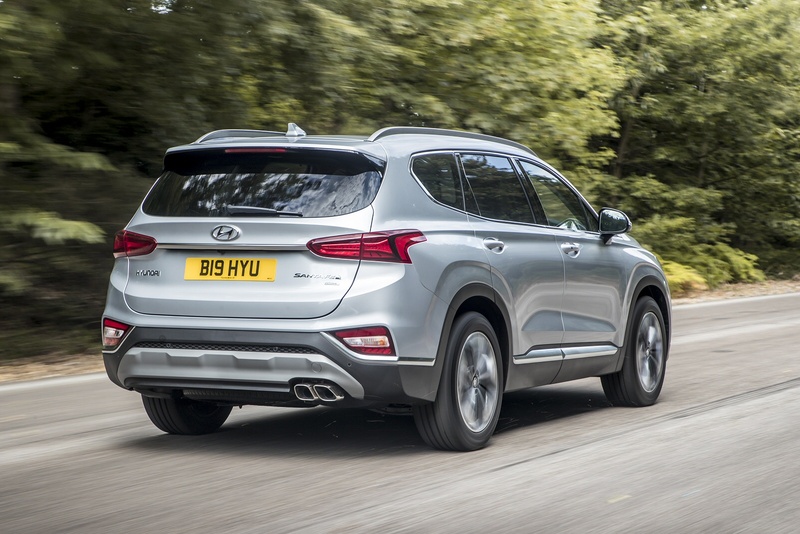 This fifth generation Santa Fe features the brand's 2.2 CRDi 'R' engine, upgraded with the addition of both selective catalytic reduction (SCR) and lean NOx trap (LNT) to further reduce emissions in conjunction with the diesel particulate filter (DPF) system. Combined cycle fuel economy for the auto version most will choose is 47.1mpg and the CO2 reading is 164g/km. What else might you need to know? 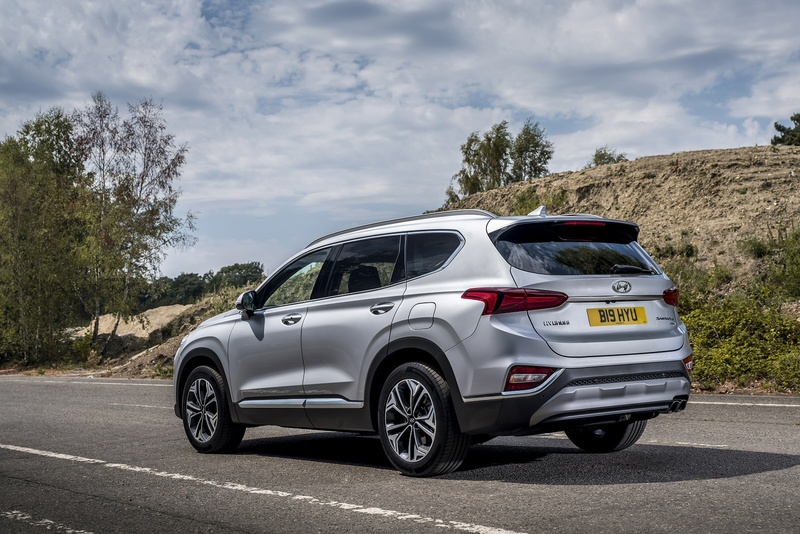 As ever with Hyundai, a strong buying incentive is the five year unlimited mileage warranty that comes as standard. It's backed up by breakdown cover that last the same length of time and free annual vehicle health checks over this duration. True, rival brand Kia claims to better this package by offering a similar seven year deal, but there, you're limited to 100,000 miles. 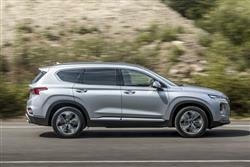 As for servicing, well your Santa Fe will need a garage visit once a year or every 10,000 miles, whichever comes sooner. 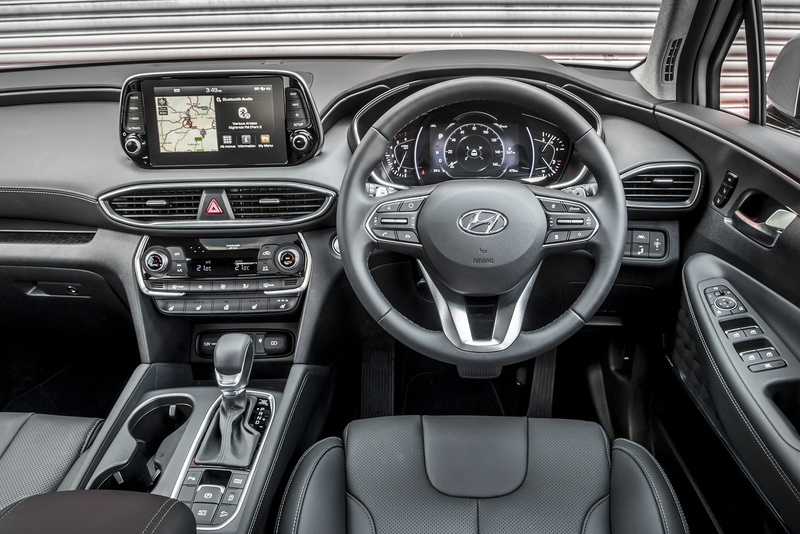 If you want to budget ahead for routine maintenance, there are various 'Hyundai Sense' packages that offer fixed-price servicing over two, three or five-year periods. You can pay for your plan monthly and add MoTs into the three or five year plans for an extra fee. 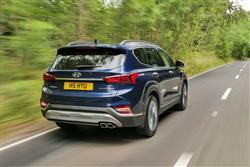 If you�re looking for a new Hyundai Santa Fe 2.2 CRDi SE 5dr Diesel Estate for sale, you�ve come to the right place. 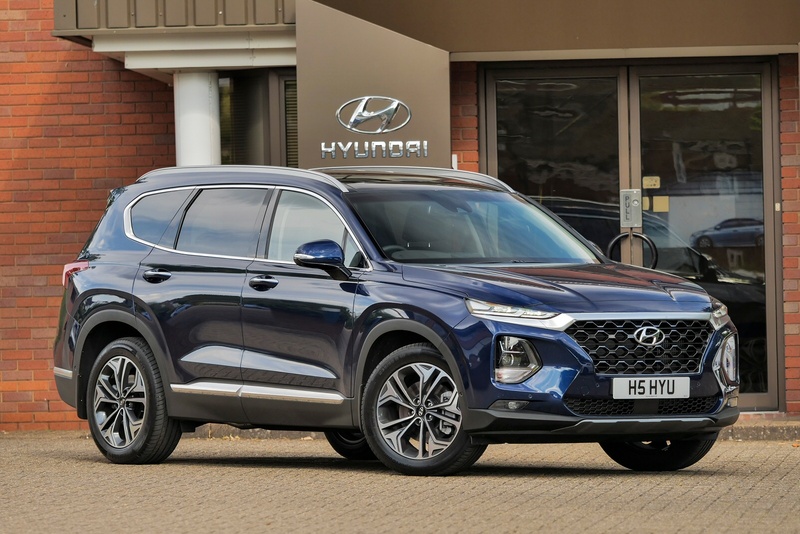 At Bristol Street Motors we don�t just have the best Hyundai Santa Fe 2.2 CRDi SE 5dr Diesel Estate deals, we also offer friendly advice and help with all your enquiries to ensure your buying experience is a happy experience.